Security is a competitive differentiator for SmartCloud for Social Business. 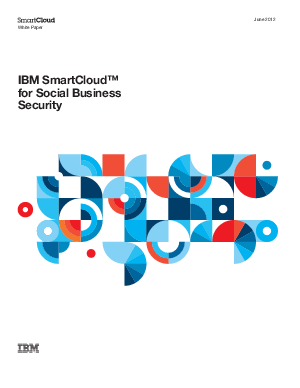 SmartCloud for Social Business’s business-ready security is based on a deep understanding of security and privacy best practices developed at IBM over decades of managing data and systems on behalf of IBM and its clients. IBM’s security controls provide privacy and controlled authorization to sensitive information while enabling business operations. SC4SB protects our customers' information through governance, tools, technology, techniques, and personnel, each of which we discuss in more detail below.